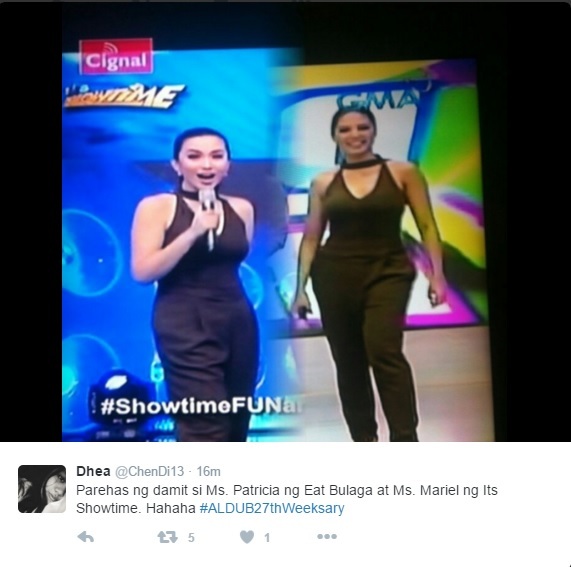 That Awkward Moment When Mariel Rodriguez and HBD Girl Wears the Same Outfit at the Same Time! For every TV personality it is very important for them to be presentable on or off camera because some people are also waiting for this kind of thing, some of them really get inspired by their outfits. The new trend of fashion can also develop because people normally see it with the TV personality. 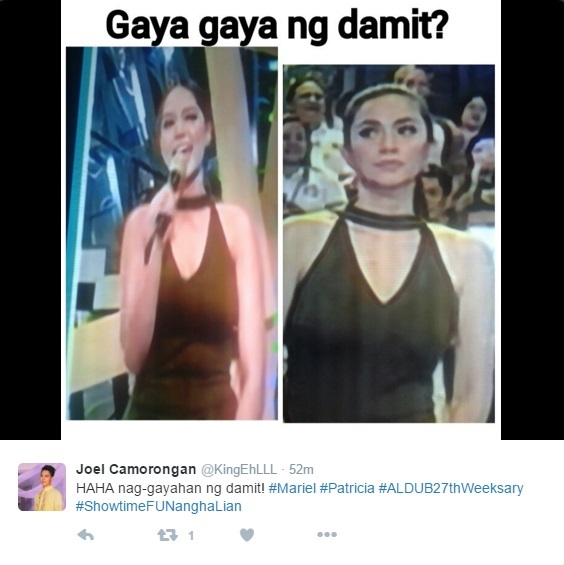 It is really a seldom case to see two of different TV personalities wearing the same outfit. 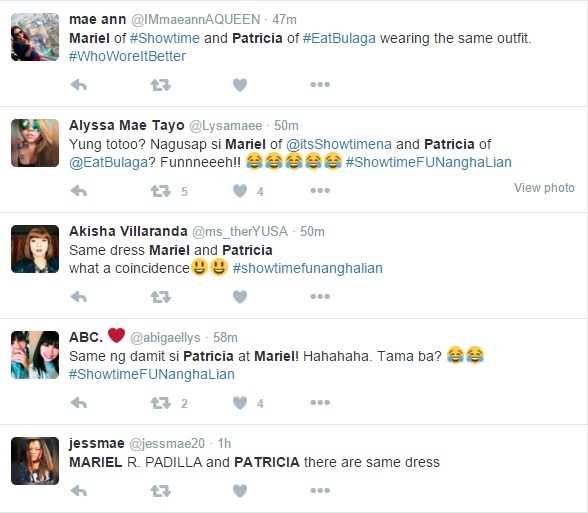 But, last time it surprisingly happened to Mariel Rodriguez Padilla of showtime and Patricia Tumulak of Eat Bulaga. They are both wearing the same dress at the same time, but in different TV station. It was immediately spread online because many Netizen who are watching at that time and they are caught by attention to this incident. But one segment, Mariel immediately change her outfit. Basically, they both just wear it without any knowledge that one of them will wear it too. Check it for yourself.